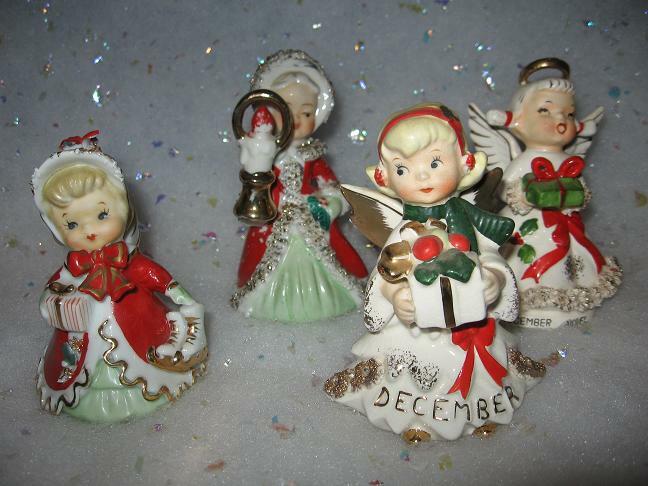 I have the little angels below displayed all year long in my china cabinet. They are taper candle holders. I got them earlier this year at one of Roy Dudley’s estate sales. I have a small collection of Noel figurines. 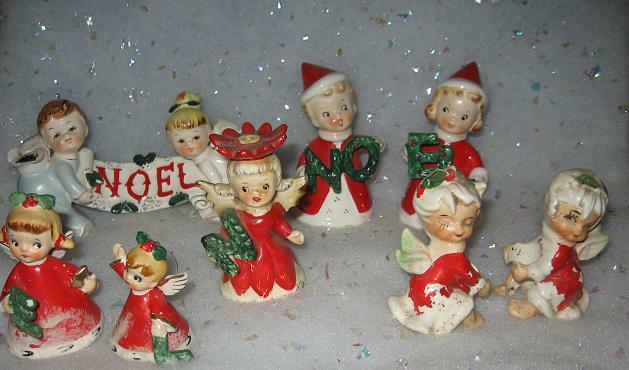 I love the ones where each figurine holds a letter and together they spell “Noel”. I found most of the ones below at Estate Sales by Nick. 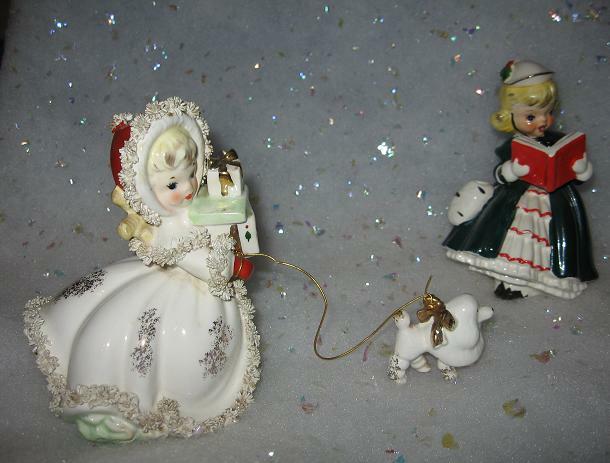 Here are my miscellaneous Christmas figurines. 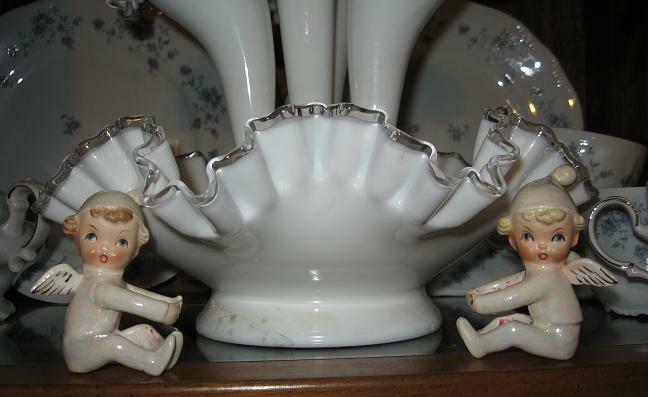 The boy sitting on the candy cane is actually a salt and pepper set! I won most of the ones below at Thacker Auctions in Judsonia years ago! My favorite of them all still has to be Shopper Girl by Napco. She and her little poodle caught my eye back when I first started collecting. I bought her on eBay. The caroler in the photo is also a Napco figurine. Not sure why, but her hand muff has a hole in it. 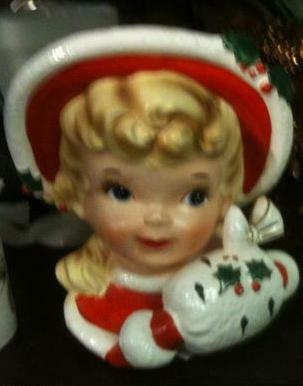 A really close favorite is this Lefton Christmas girl planter that I have at Jenifer’s Antiques. I paid too much for her to keep her, but until she sells, I get to enjoy her in my booth. 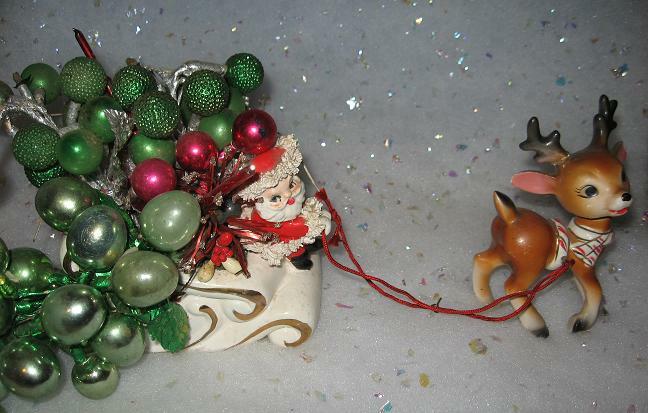 Last but not least, is my silly Santa and bobble-head reindeer planter. The reindeer has been repaired quite a few times from breakage, but it seems to add to its peculiarity. I got it at a garage sale for $1.50! The camera angle above actually makes it look better than it is. 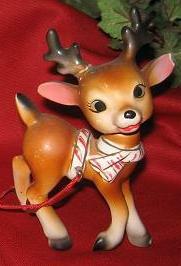 The reindeer’s eyes are crossed and his ears are chipped, which looks pretty funny! They are just so cute! 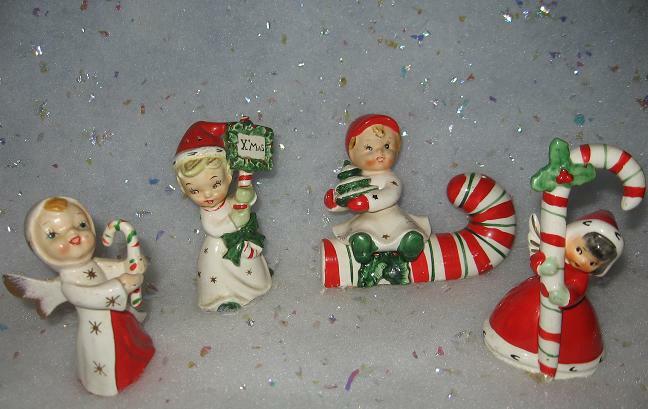 I am collecting the vintage Shiny Brite Nativity scenes for Christmas. Thanks, and Happy New Year!